Do you want to see the excellent western Hostiles for free before it hits Utah theaters? To enter to win two (2) reserved seats to the special advance screening being held on Wednesday, January 17 at 7PM in Sandy, send an email to AlliedIMSLC@gmail.com with your full name and birthdate in the body of the message and “Hostiles” in the subject line. Entry deadline is Monday, January 15, which is when winners will be notified then. We’ll see you there! 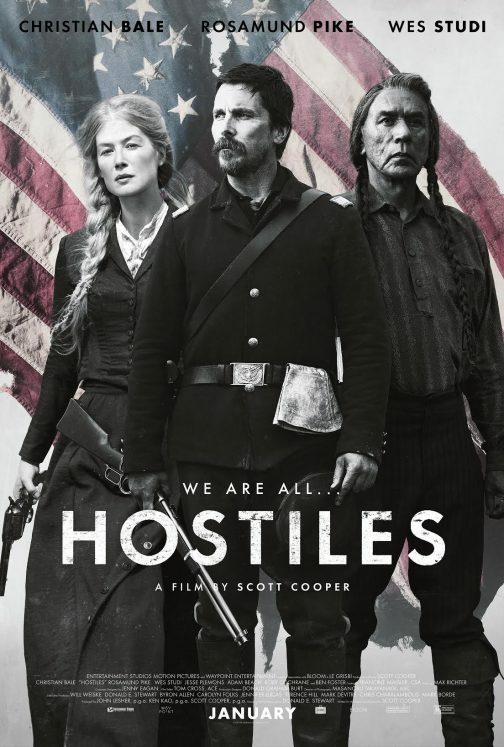 Synopsis: An embittered U.S. Cavalry officer (Christian Bale) reluctantly agrees to accompany a Cheyenne war chief and his family back to their tribal lands in Montana. Hostiles opens in select Salt Lake City theaters in January.